Make a difference for less than the cost of a coffee ~ a child can eat, be educated and have clothes and you can say #IDIDIT! The Philippines consists of thousands of tropical and mountainous islands, with gorgeous beaches and breathtaking views. The economy of the Philippines is stable, but poverty still persists in many areas of the cities and in remote islands. The beautiful landscape is also vulnerable to natural disasters, from typhoons and landslides to earthquakes and tsunamis. We’d like to raise as much of our goal as we can to fulfill the few items on each child’s wishlist and also to buy them enough food and groceries for each family for the week. Thank you, from the bottom of our hearts, for any donation you can make to help make this happen! Please help us make 2017 wonderful for the young Boys and Girls living in the Philippines. So please do donate what you can. Lets show these children the magic of Giving and the Generosity of peace and goodwill towards mankind and that we haven’t forgotten about them, and that we haven’t forgotten about the spirit of giving. Together lets send food to the Children! A simple donation such as $1 will go a very long way. We cannot wait to make this mission happen! Education is essential to stopping the cycle of poverty. So The IDIDIT Foundation aims to help kids in the Philippines go to school by providing shoes, uniforms, backpacks, supplies, scholarships, school fees and teacher subsidies. In addition to a good meal (a full belly) we don’t just teach reading, writing and math. We also teach kids how to stay healthy and be self-sufficient, teaching them trades so they can support themselves as adults. We thank you in advance for any donations you can help us out with. We can’t wait to share the experience with everyone! Good Luck for such a great cause! Donate what you can and we will put your donation to use. 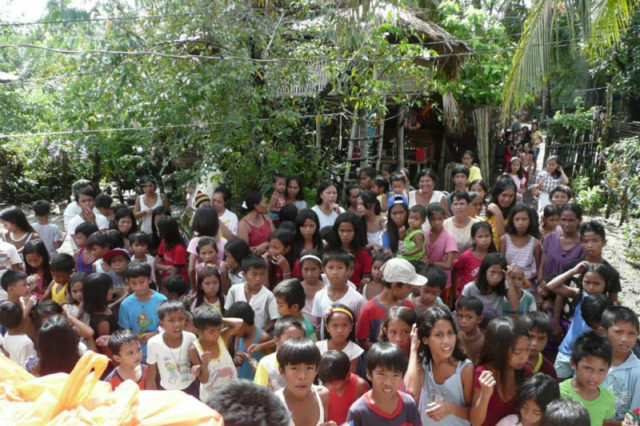 Donate $250 to help a Family of 4+ Children Sponsoring a child in The Philippines helps that child and also the entire community. Your gift helps us create a community where no child goes to bed hungry. You can make sure one child eats nourishing food, drinks clean water from a source near their home, and goes to school where they learn and develop leadership skills. It also helps start family businesses. Most important, it gives these kids the chance to dream about a brighter tomorrow and make that dream a reality. Your $250 will change the life of a child and his or her community forever!